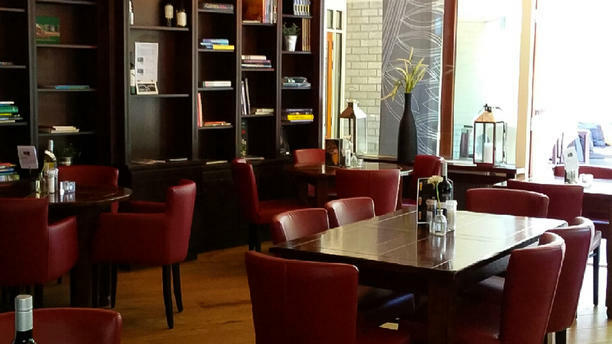 This family business is located in the middle of de Veluwe so unwinding is inevitable! Next to a hotel, there is a restaurant, lovely terrace and a brown cafe with a pool table. A little bit of the Orient and a lot of France; that portraits the menu at De Harmonie. Whether it is your wedding day or just a pub party where you rent the entire place, everything is possible. Voorgerecht soep voorafgegaan door vers brood/kruidenboter, Hoofdgerecht zalm met aardappeltjes, frietjes, salade, Nagerecht appeltaartje/ijs/slagroom. Kwaliteit prima, Geserveerde gerechten voldoende . Ambiance goed. Al met al een aanrader.